The Royal College of Physicians celebrates its 500th anniversary in 2018, and to observe this landmark is publishing this series of ten books. Each of the books focuses on fifty themed elements that have contributed to making the RCP what it is today, together adding up to 500 reflections on 500 years. Some of the people, ideas, objects and manuscripts featured are directly connected to the College, while others have had an influence that can still be felt in its work. 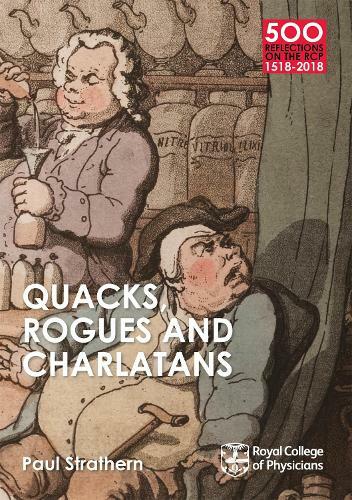 This third book in the series is a lively tour of some of the colourful characters and dubious cures that have littered the College's 500-year history, and highlights the role the College has played in regulating the medical profession.